Gwanghwamun Square (광화문광장) is one of two famous historical sites in the Jongno area, with the other being Gyeongbokgung Palace. Both sites are next to each other, making it easy to visit them on the same day. They are also walking distance from Insa-dong and Cheonggye Plaza, where you will find the Cheonggyecheon Stream. 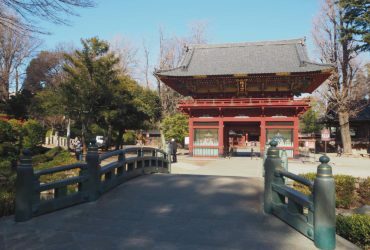 Additionally, you can also visit Samcheong-dong, which is a short 10-minute walk from Gyeongbokgung. So many options to choose from! Today, we will be exploring Gwanghwamun Square and all that it has to offer! Gwanghwamun Square is divided into several sections. At the centre stands a statue of King Sejong the Great. He is the fourth and most respected king from the Joseon Dynasty. 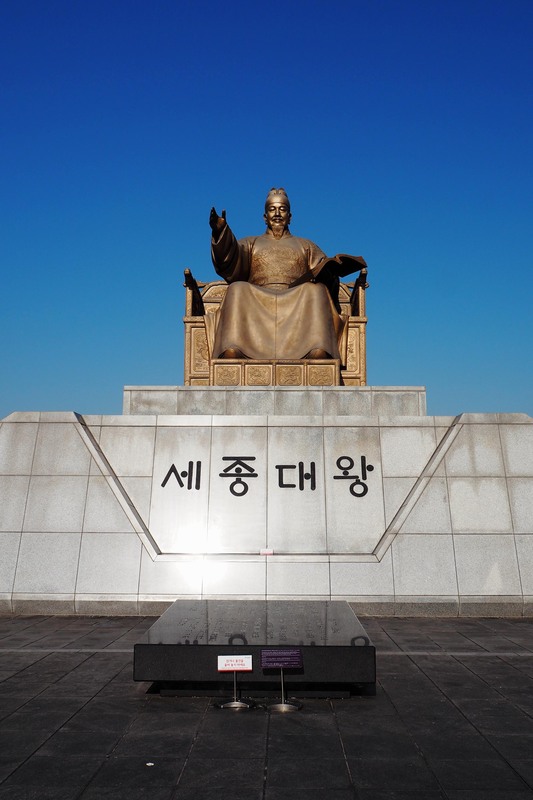 The reason is simple – he created hangul, the national language of Korea. Pretty smart move to gain popularity if you ask me. Koreans really put him on a pedestal – even until today. 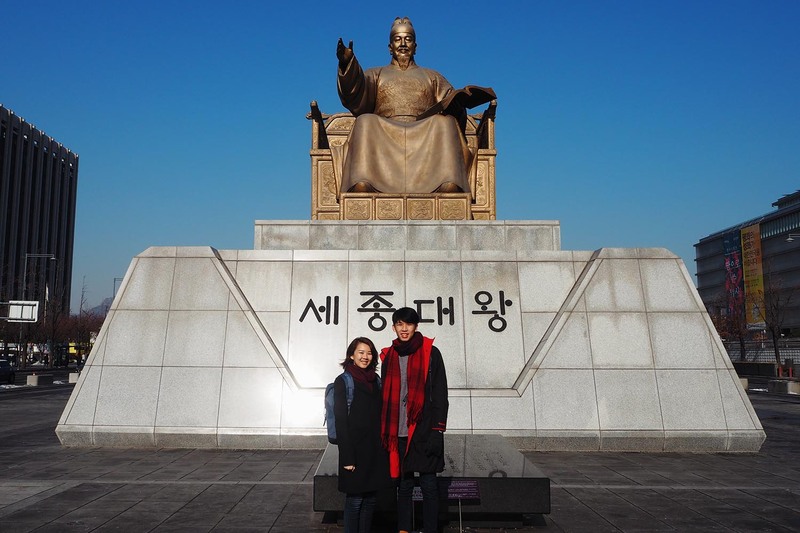 Just in front of King Sejong, is the statue of General Yi Sun-shin, a naval commander best noted for his victories against the Japanese during the Korean invasion from 1592 to 1598. Koreans hail him as a great hero and that’s why they commissioned a statue of him. You have to understand that Koreans are very proud of their heritage and history because they have been through a lot. There’s a sense of pride in being a Korean. They have survived through many wars and seasons of oppression. But I shall not get into too much detail this time. 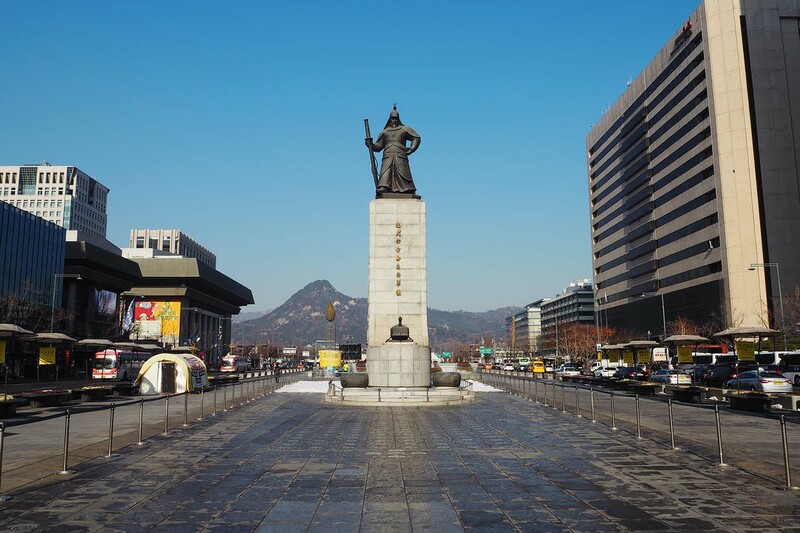 Also located at Gwanghwamun Square, are the 12.23 Fountain built to commemorate the achievements of General Yi Sun-shin, the sculpture of Haechi known as the guardian and symbol of Seoul, and Yeoksamulgil the Waterway of History at Gwanghwamun Square. While the entire square is popular among tourists, the two statues are still the most famous landmarks in the area. History buffs will also be glad to know that there are two free museums located beneath Gwanghwamun Square. 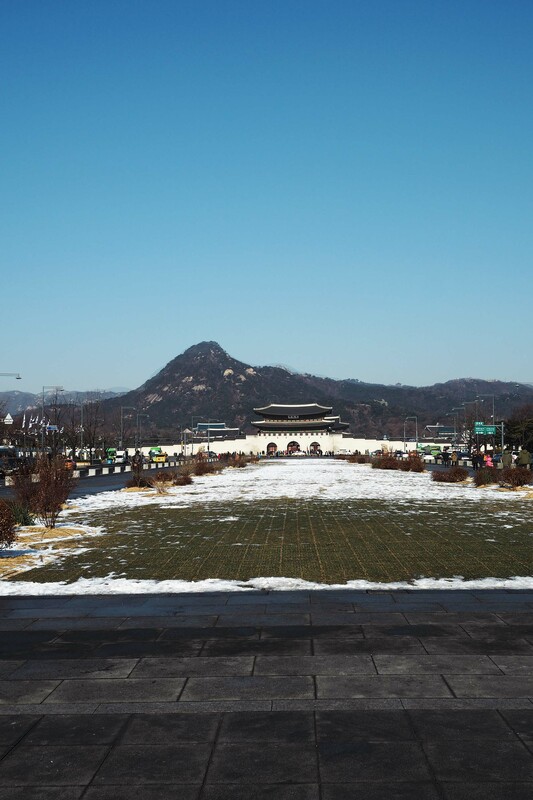 The first museum is known as “The Story of King Sejong” relating the history and achievements of Korea’s greatest king. 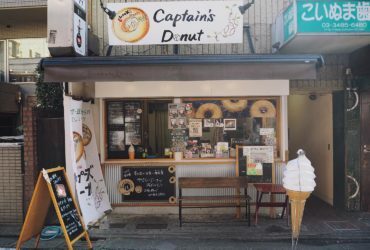 Descriptions are available in Hangul and English. I particularly enjoyed the short video being shown at the museum, although it looked like it was shot on a budget (the actors weren’t very good). Maybe I just wanted to be entertained while sitting down to rest my legs from the bitter cold. HAHA! I’m a sucker for cheap thrills. Connected to the King Sejong museum is “The Story of Admiral Yi Sun-shin” museum. Koreans are so creative with names, I know. 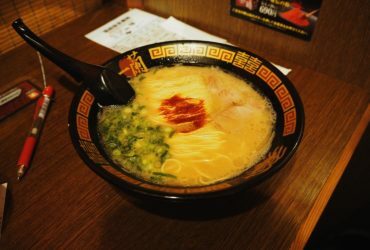 The layout is similar to King Sejong – history of General Yi Sun-shin’s life and accomplishments during the Japanese invasion. If you’re travelling with children, they have guided tours for them which includes games and other fun activities. Everyone wins in this situation. It’s also good for a pee break because the toilets are squeaky clean. You can thank me later.